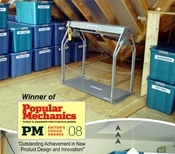 This Attic Lift Platform Enclosure consists of two fixed end panels and two hinged ramp doors. The ramp doors serve as loading ramps when lowered and as enclosure doors when raised and latched providing containment walls for items placed on the lifting platform. These walls are especially useful for lifting a variety of loose, unstable objects like firewood, groceries, canned goods, small packages, etc. 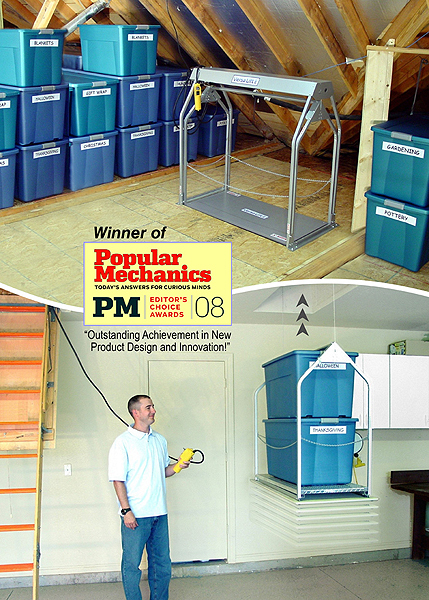 When lowered, the ramp door becomes a loading ramp that makes it easy to roll wheeled storage bins, carts, dollies, and other items onto the lifting platform in the garage. 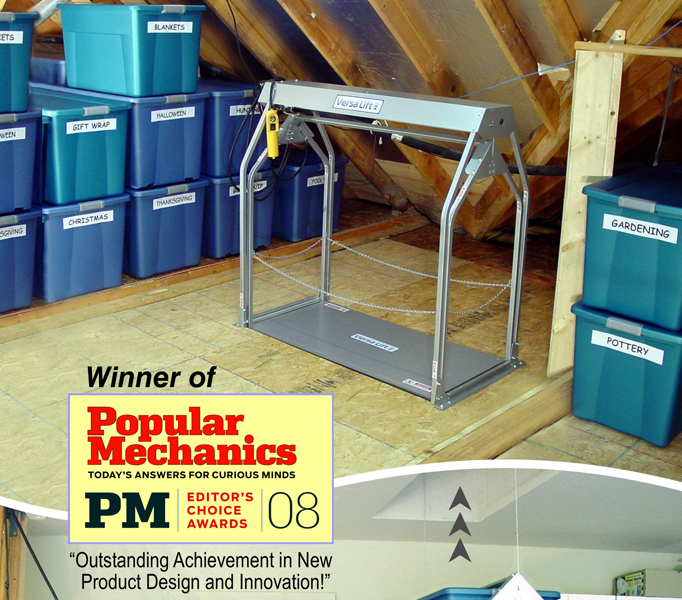 Note that this Attic Lift Platform Enclosure cannot be used if you are using the Attic Lift Diamond Plate Platform Cover. Attic Lift and cart is not included.